A look back at DELIVERANCE! 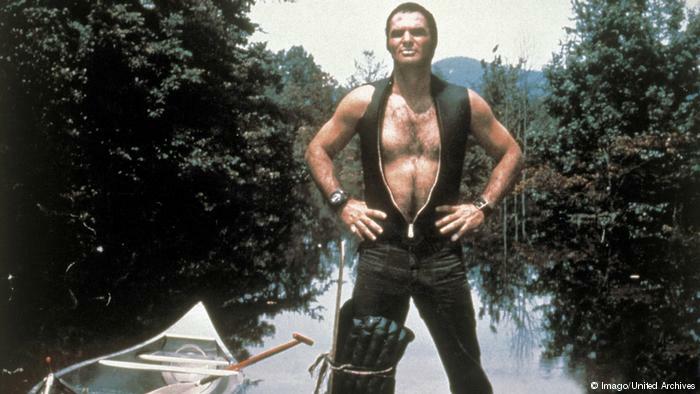 Most people will always remember Burt Reynolds as the grinning good ol’ boy from the Smokey and the Bandit films, but if you want proof that the man was a tragically underrated actor, look no further than what might have been one of the greatest portrayals of machismo ever committed to film: his performance as Lewis in DELIVERANCE. 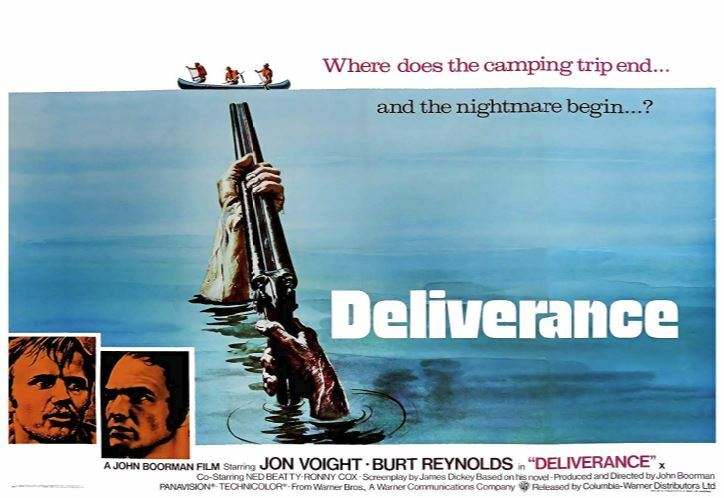 DELIVERANCE was directed by John Boorman from a script by James Dickey, a well respected Southern novelist, and was the first film for soon-to-be-Oscar-Nominee Ned Beatty and Whatever-Happened-To- That-Guy Ronnie Cox, two theater actors who Dickey brought on board (can you imagine Ned Beatty saying yes to that script as his first film? Good lord.) Boorman wasn’t even the first choice of director, and Reynolds wasn’t even the third choice for Lewis. They filmed it somewhere in the wilderness with no insurance, which is pretty unbelievable for a studio film, not to mention one where the stars are doing their own stunts. 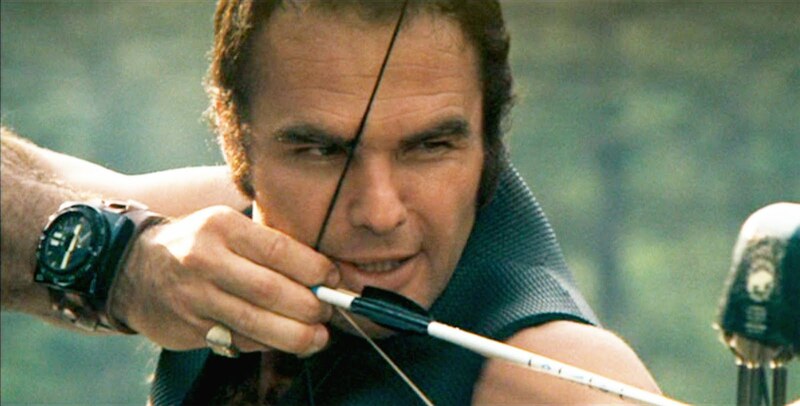 But, luckily, the cast and crew of DELIVERANCE walked away with only minor injuries and a slew of Academy Awards. The movie is a masterpiece and stands up in every way. As Lewis, Reynolds is an icon of impossibly outdoorsy 70’s machismo, leading a group of insurance salesmen on a whitewater canoe trip in Appalachia. There he is, muscles bulging in a sleeveless vest and leather wrist straps. He’s carrying a goddamned bow and arrow, for Christ's sake. And as the insurance salesmen drink beer and look around nervously, Reynolds is shooting fish with the bow, making fun of their suburban homes, wives, and children, and daring them to kill something – anything – to prove their manhood. He’s like the world’s worst Boy Scout guide. It’s as if Hemingway dropped this guy into their lives just to make them feel bad about themselves. The heart of the movie is the relationship between Lewis and Ed, the everyman played by Jon Voight, who follows his alpha male hero around like a baby duckling. Lewis even asks Ed “why do you go on these trips with me?” Ed can’t answer, but it’s clear that he idolizes Lewis and wants his approval. Lewis is the embodiment of a certain romantic ideal of American manhood, and Ed seems to use “What Would Lewis Do?” as a guide to life. 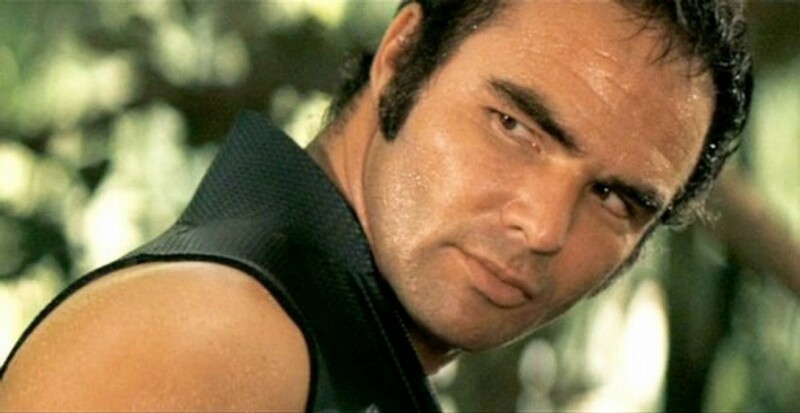 And the thing about it is: in the 70’s, this is just who Burt Reynolds was. To all of us. The Alpha Male with the mustache and the hairy chest who posed naked for Cosmo, and drove off in a muscle car with American’s sweetheart and a twinkle in his eye. But here, he’s deconstructing his own masculine mystique. Lewis has this attraction to the wilderness, to the idea of surviving, to building campfires and killing his own food and walking in the footsteps of the first Americans. But his survivalist fantasy has an undercurrent of self-conscious anxiety at its core, and it just emanates off of Reynolds’ performance from beginning to end. He’s trying his best to be a 10 year old Boy Scout’s ideal of masculinity, but he’s wound up like a pacing tiger. His addiction to speed and danger is exhilarating, but it’s also a way for him to cast off his adult self-consciousness and responsibilities – and he never really is able to, no matter how hard he tries. In the end, his romanticization of the wilderness will be brutally broken and exposed, just like the souls of the people on this canoe trip. In fact, Lewis’ romantic ideal of the American wilderness comes right up against the reality of the American wilderness: a bunch of hateful, toothless, backwoods, inbred rapists, who look like they’re still wearing their great-granddad’s overalls and carrying his Confederate rifle. These people are scary, but they’re not ignorant. In the end, they have a better grasp of reality than the liberal elites in the canoe. “Why you want to go messing with that river, boy?” They ask Lewis. “Because it’s there,’ is his Hemingway-esque reply. The hillbillies just laugh at him. “You’re gonna wish it wasn’t,” is all they say. Now more than ever, it’s a question worth asking.